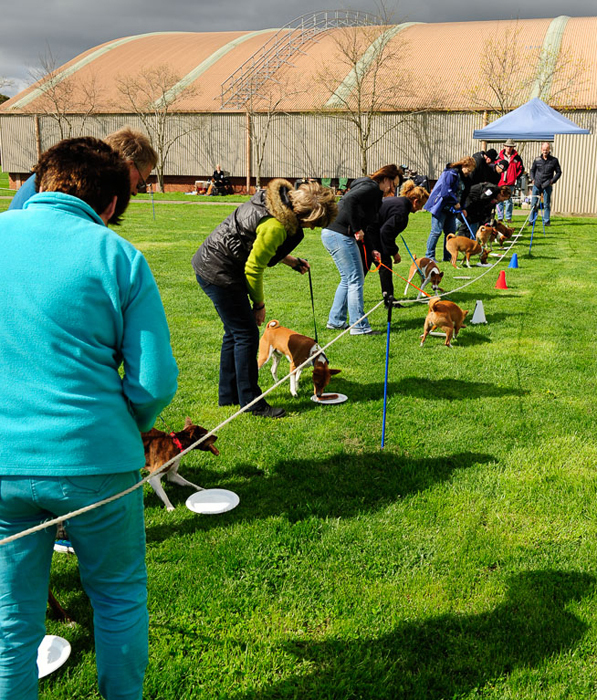 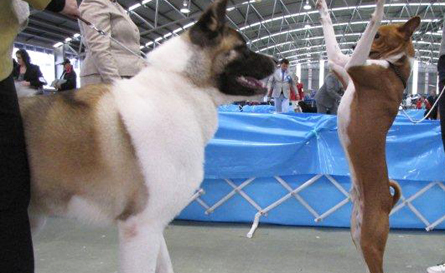 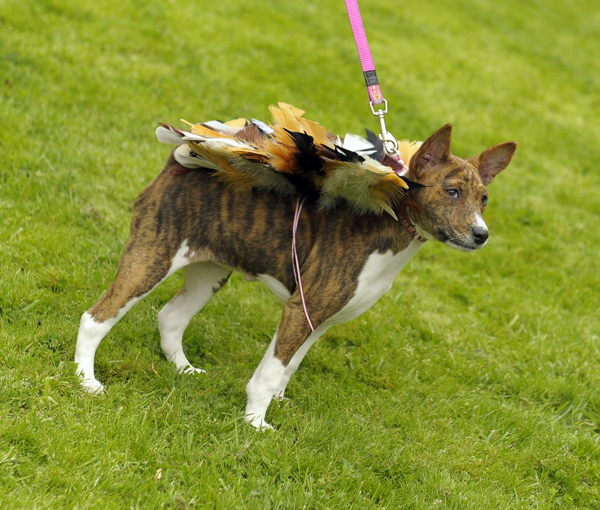 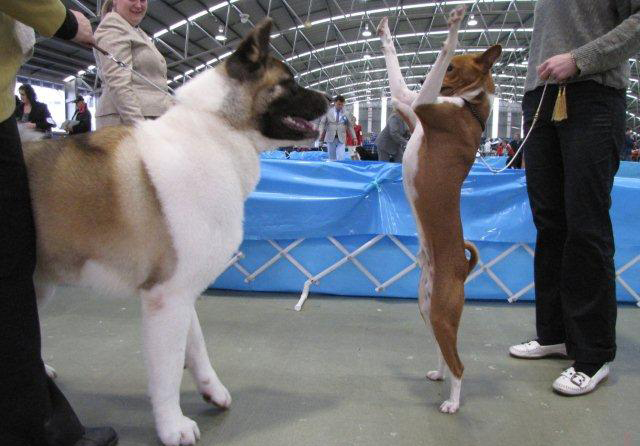 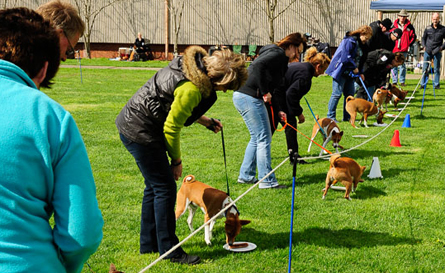 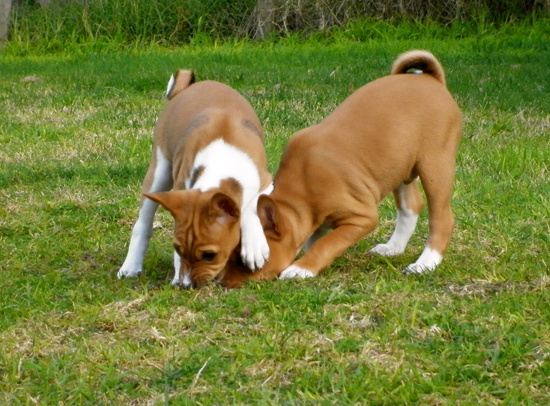 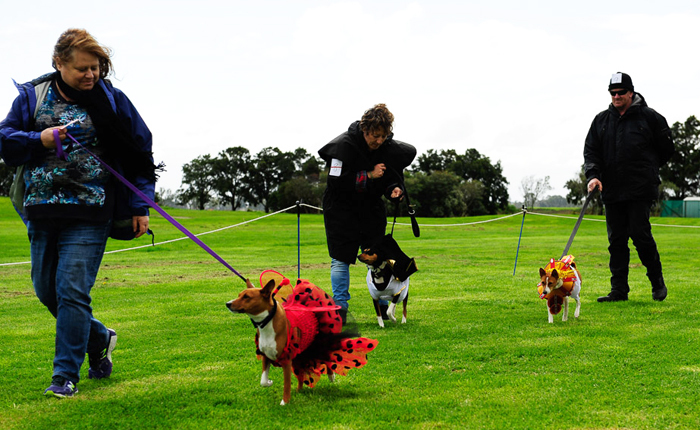 Basenji and Akita having fun at a dog show! 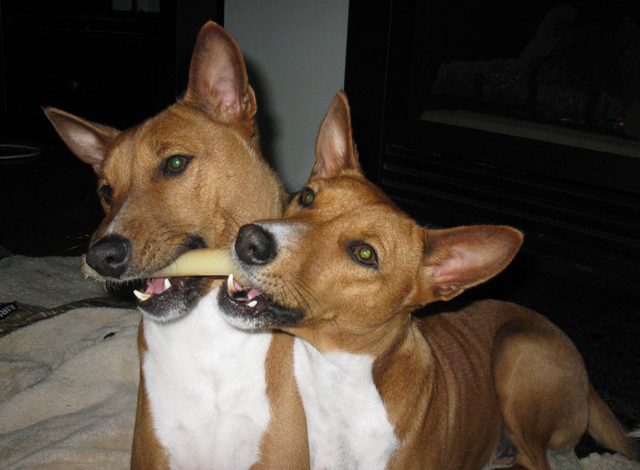 Best friends sharing their chew toys. 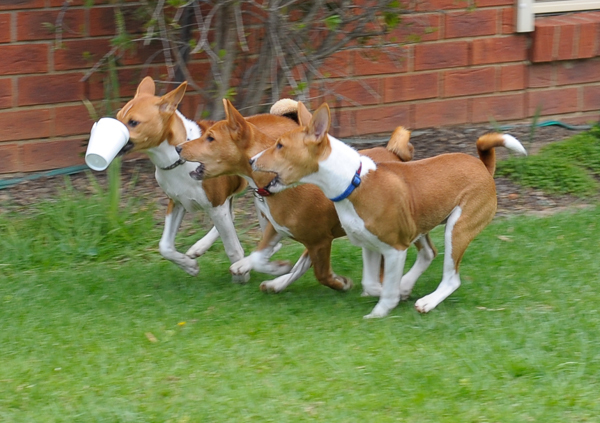 The Melbourne Cup with a twist! 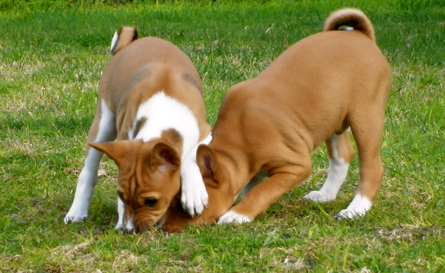 5 week old puppies playing in the garden! 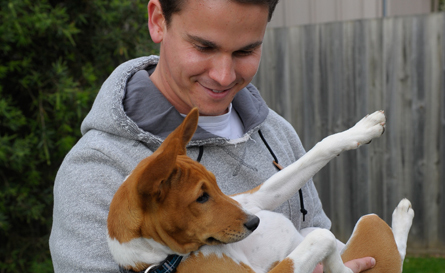 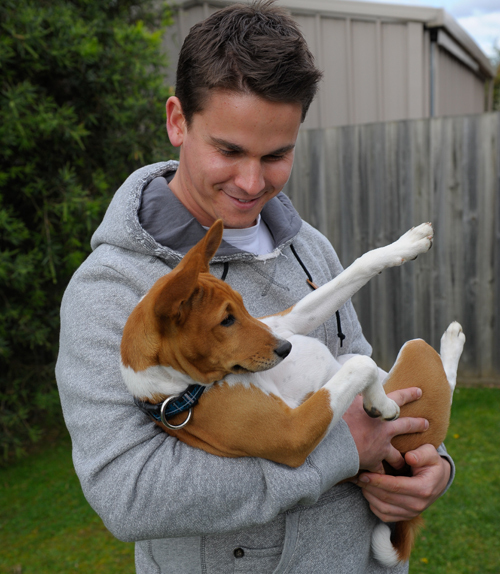 New Basenji owner with his new puppy. 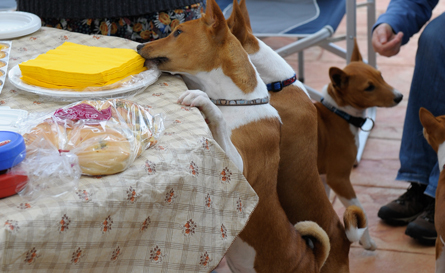 Puppies helping themselves to some napkins for their afternoon tea! 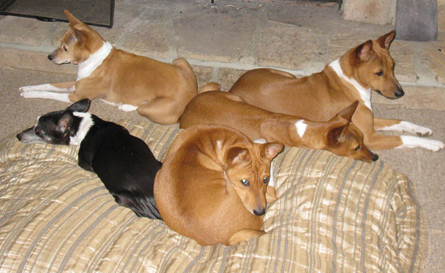 Basenjis have a love affair with heaters! 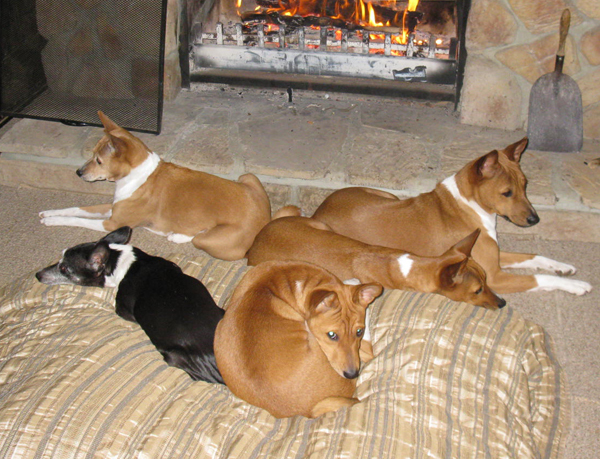 Basenjis from 2 families and terrier snoozing near the fireplace. 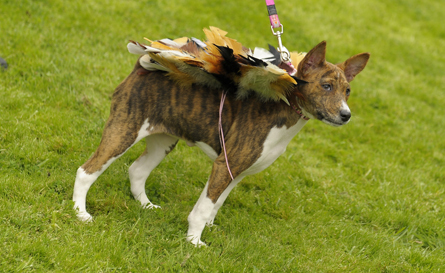 Tri color adult dressed as a male dancer! 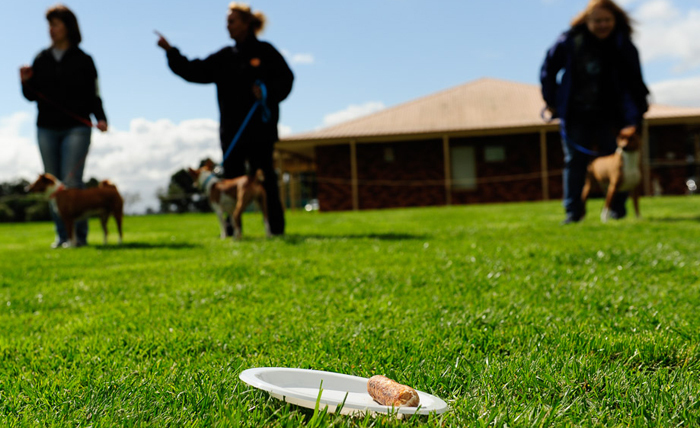 2016 Fastest Sausage Eating Contest! 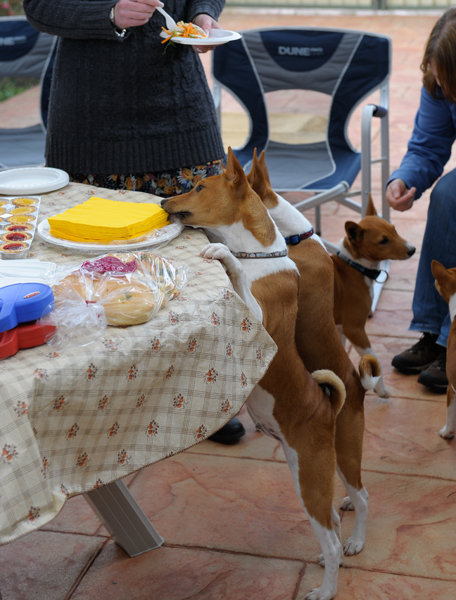 Here they are eyeing off the sausages! 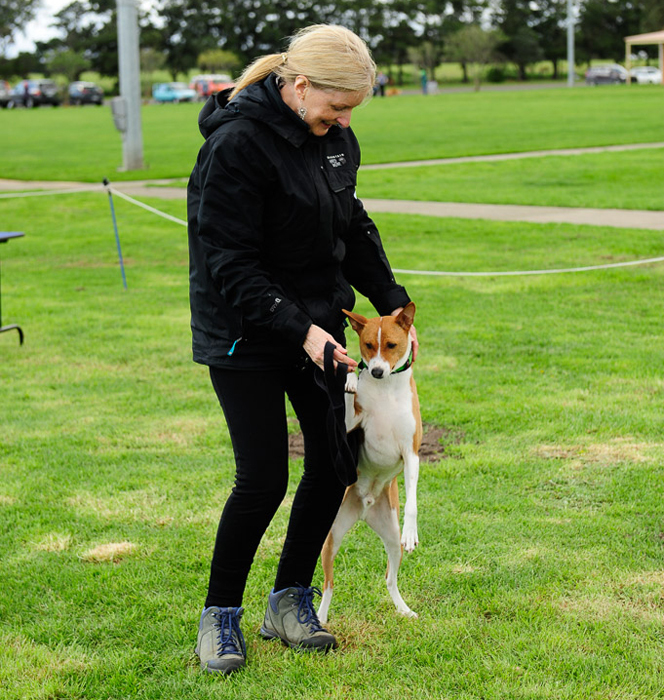 The winner of the Most Obedient Basenji Contest 2016 with her owner. 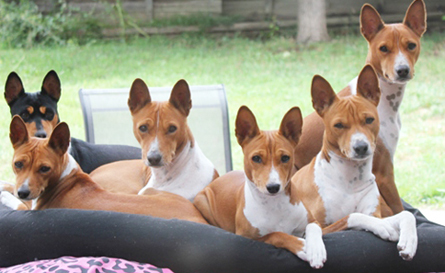 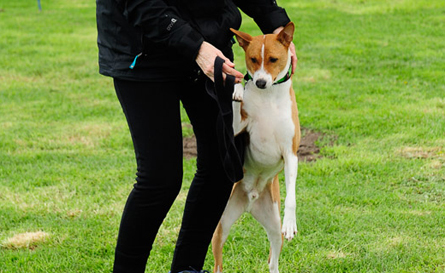 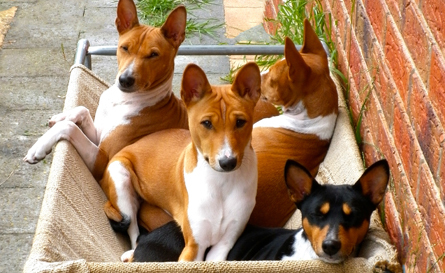 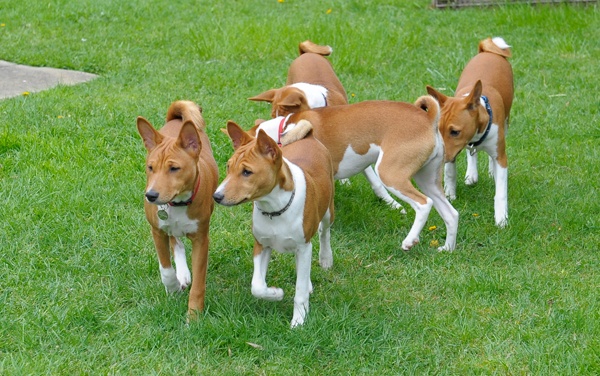 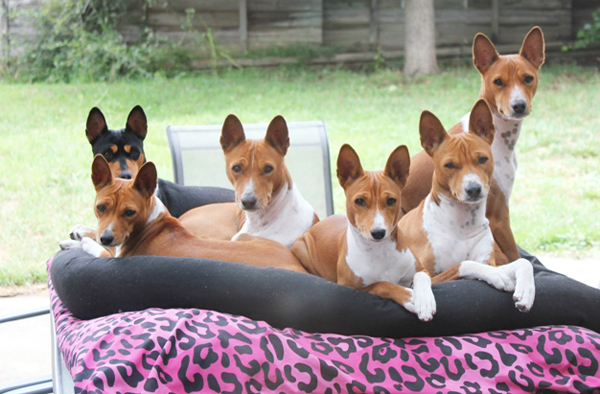 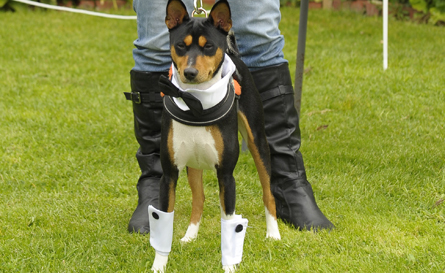 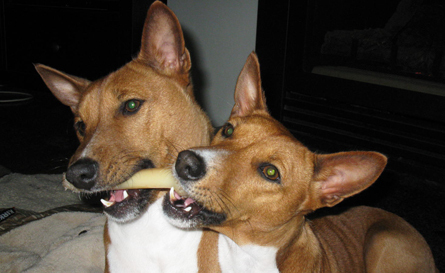 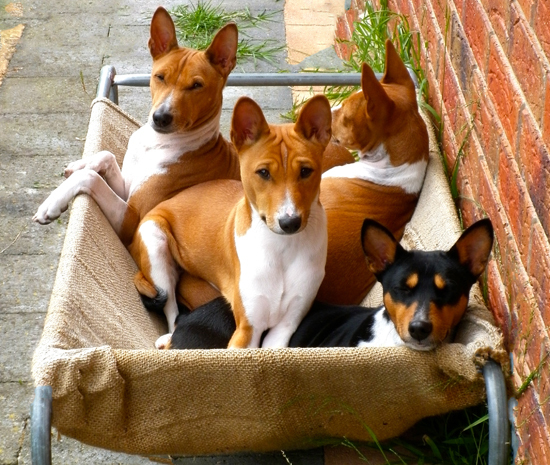 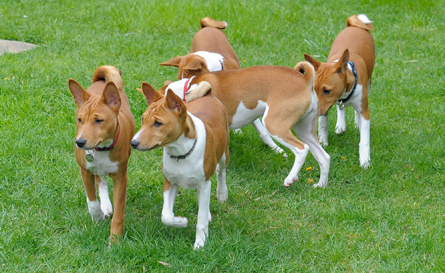 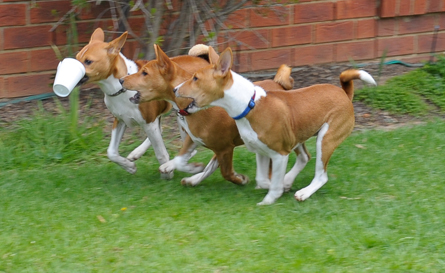 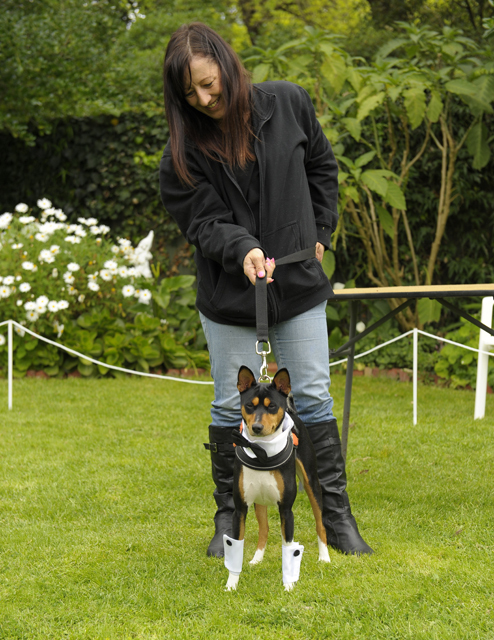 If you are a member of the Basenji Club Of Victoria and have a photo of your Basenji enjoying life that you would like to share here please send or email it to the webmaster in high resolution with a short description.